When you consider the saying ‘cleanliness is next to godliness’, you can well understand how important it is for you to be clean yourself and to be in a clean surrounding. However, cleaning your surroundings can seem like a mundane task to the point of being drudgery. This is where the idea of calling in professional cleaners in Canterbury becomes worth considering. There are plenty of benefits to doing this too. For starters, you get the chance to be in a clean environment. Discussed below are the inarguable benefits of calling in professional cleaning services for your office. One of the best things about having a clean working space is that the people there become subconsciously more productive. Cleanliness promotes calmness and a person is able to concentrate more on his or her work, thus being able to come up with more productivity and output. On the other hand, if an employee is made to work in a cluttered and messy office, you can rest assured about the fact they will be distracted, thus giving a compromised amount of output. If nothing else, working in a clean office ensures that no documents are misplaced and are available whenever needed. Another matter about outsourcing cleaning services is that the employees in the office do not have to take out time out of their working schedules to do the job themselves. As a result of this, they can devote that time to their work and be able to put in all of their focus on the important things. Additionally, your employees do not have the subconscious level of worrying to do about always keeping their surroundings clean as they would know that there are professionals who have been entrusted to do the job dedicatedly. As dirt builds up in an office, you can rest assured about the fact that there will be bacteria and other microorganisms rife all around. This gives way to the fact that the office becomes an unhealthy place to work for the employees. 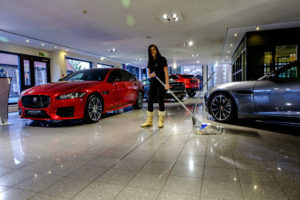 There is a simple solution to this problem though, as professional cleaners in Canterbury work round-the-clock during the office hours to make sure that the place is squeaky clean for all the people in there. On your part, ensuring that it is a healthy environment for all concerned in the office makes certain of the fact that your employees will not be falling ill frequently and taking leaves. It is a given that professional cleaners will have all the necessary tools at their disposal to make sure that your office is a clean place. This is certainly not going to be the case with your regular employees, so you be sure about the fact that they are not going to do the job as well as the professionals will. 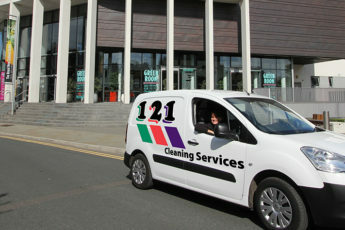 As you can see, the benefits of hiring cleaning services are many. An ever-increasing number of offices are starting to do this and have one less thing about which to worry.